I have been asked this question over hundred times, in person, as a post request. When to use Symfony? How is Laravel better than Symfony? What are Nette killer features compared to Symfony and Laravel? Today, we look on the answer. So Which PHP Framework is the Silver Bullet? According to Wikipedia "the only weapon that is effective against a werewolf, witch, or other monsters". But also "a direct and effortless solution to a problem." Spoiler alert: Silver bullet does not exist. If you have a new partner every 2 years, how well do you think you'll get to know them? Same goes for frameworks (or any field, really). So which PHP framework would I recommend to you in 2018? You know from my posts and from founding PHP group "Symfonists" in the Czech Republic in 2016, that I'm all over the Symfony. Even though there are many things I disagree with. Use what you love. There is no better way to do things. argue that this framework has 10 times more plugins, that one has autowiring and that one has not. If you're not doing a job you want to do for the rest of your life... why are you doing it? Ok, let's say you're looking for your first framework to fall in love with. What is the best place to start? I really fell in love with Nette mainly because of monthly meetups called Posobota. In English: last Saturday shortened to "LaSaturday". Maintained for last ~5 years by Honza Černý who's keeping an awesome job of running them. It's a meetup with 50 developers, a regular meetup. Regular meetups is the best place to build deep meaningful relationships, where you can learn a massive amount of knowledge over the years and to share ideas and get feedback on them. This could never happen on conferences, no matter how big. 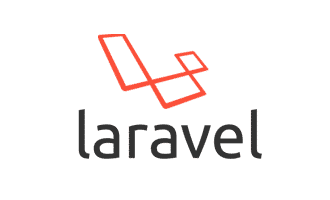 There is a place where can you learn almost everything about Laravel. It's called Laracasts, it's entertaining, it's short (mostly 3-5 mins long videos) and to the point. A very rare combination in software educational sources. I got into it with free series Be Awesome in PHPStorm series, where Jeffrey Way gave me the best basic about PHPStorm I could dream of. To this day I still use 70 % knowledge I learned there. What I love the most about Symfony? It has people, education, sharing, the newest information, dopamine-driven reward system... guess! It's a StackoverFlow support for Symfony. I learned a lot of basic know-how there and almost all of the edge-cases. The answers are experienced and right to the point. I just love it. And when I find an outdated answer, I can improve it. That way it's clear, what was the best-proven practice in Symfony 2, in Symfony 3 and is now in Symfony 4 in one page - one example for all How to get Parameter in Controller. Its like Rector just to humans. There would be no frameworks without you - people talking about it on meetups, online forums, people who write about it with passion in comments on Reddit. So just go out there on a meetup, grab a beer. No pressure, you can stay there just for 30 minutes and then go home - but try to feel the mood and see how people work in that group. See how that fits you. That way you'll know you have found the best framework for you, not by some random metrics. One loves vanilla ice-cream, the other pistachio.